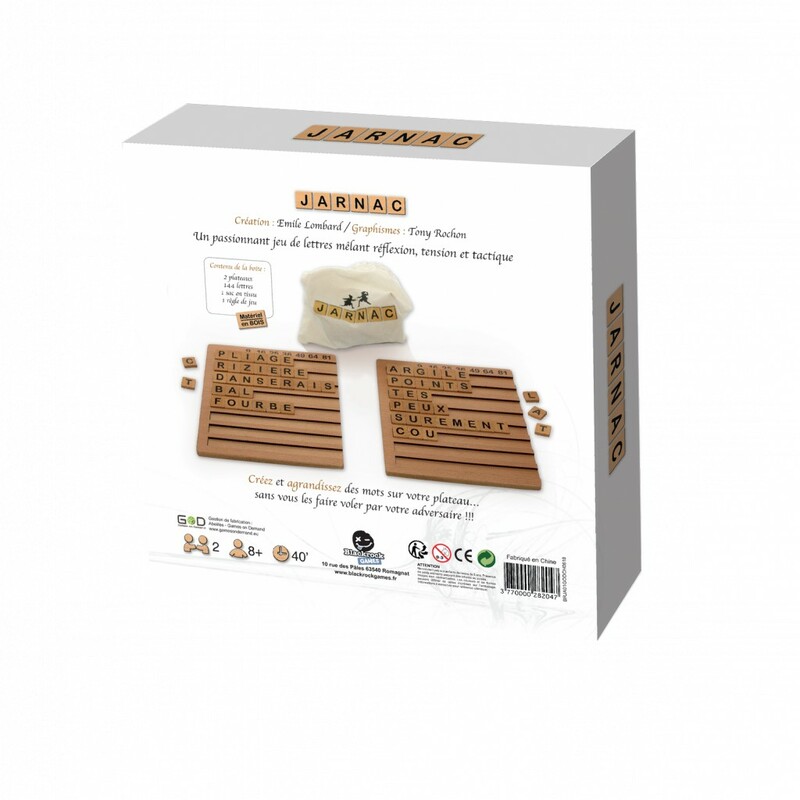 An exciting letter game combining reflection, tension and tactics. 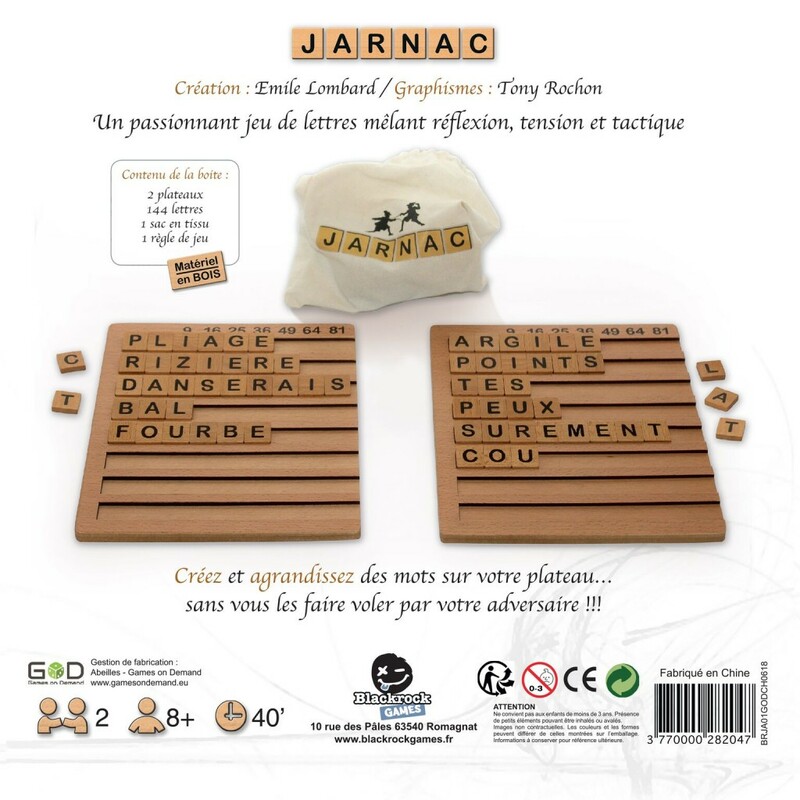 Jarnac is a word duel where each player will have to constitute longer and longer words in order to score as many points as possible, while avoiding being stolen by his opponent. 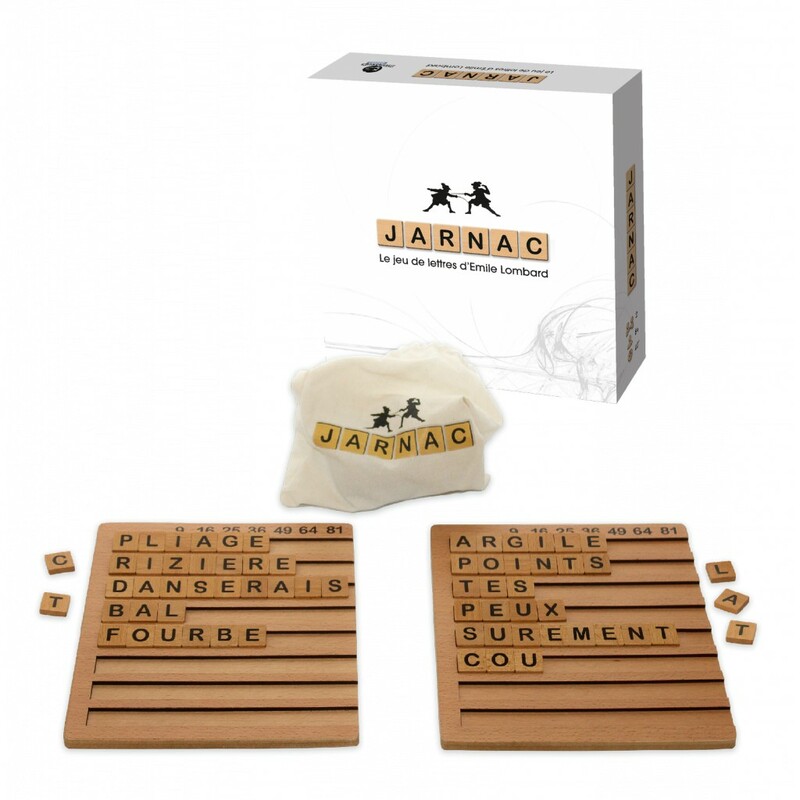 Each player starts the game with 6 letters on his carpet. 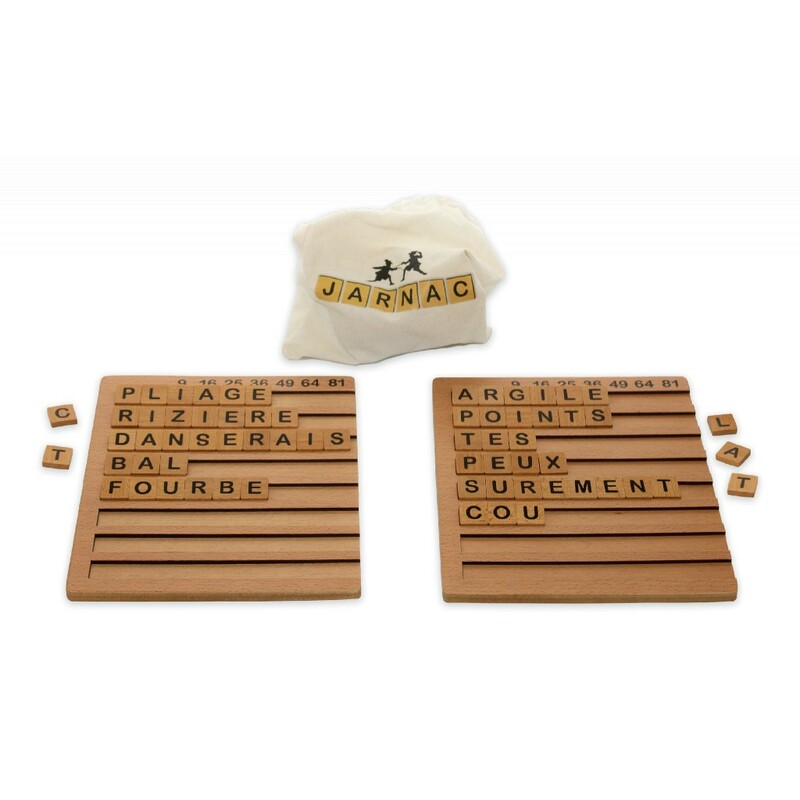 The first player starts by trying to place a word of at least 3 letters. If he succeeds, he picks up a new letter and continues to play like that until he sees nothing more to do. To modify a word, one must add one or more letters in order to increase its value. You can change the order of your letters, but it is forbidden to remove them. 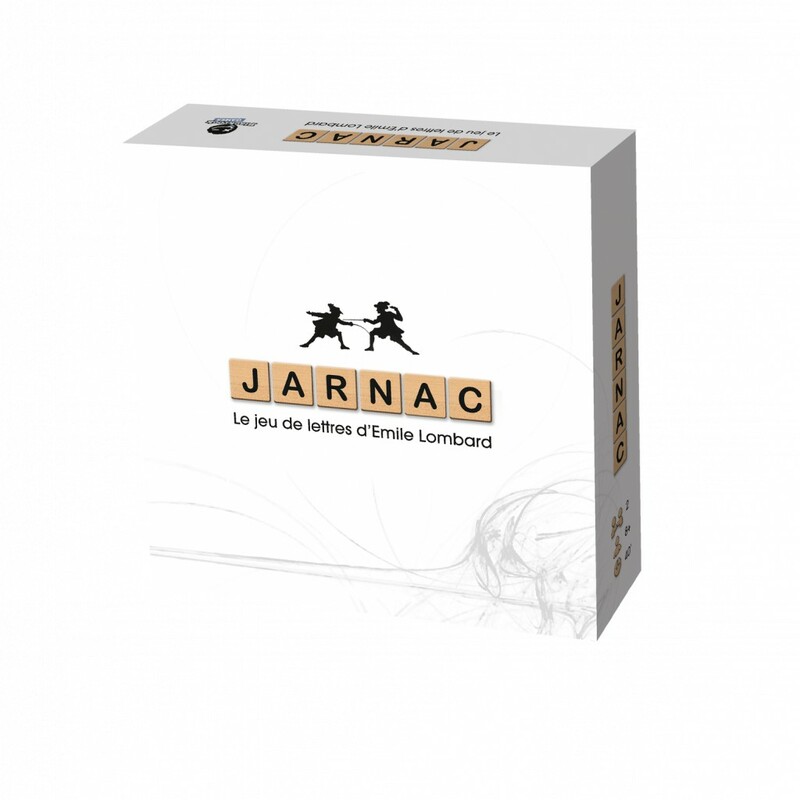 When a player no longer sees anything to do, he says "I pass" at that moment, and without more time to think, if his opponent has seen that he could make a new word, he says "Jarnac" and "steals" the word to place it on his own board. When a player has completed his 8th line, the game ends.